Last August it was reported that Community star Alison Brie was set to star in GLOW, an ’80s women’s wrestling series coming to Netflix. The show is inspired by the real-life wrestling promotion of the same name, which stands for Gorgeous Ladies of Wrestling. Netflix has released an official trailer for the new series, which is set to be released next month. Also starring is Betty Gilpin, Marc Maron, Britney Young, and Sydelle Noel. Continue below to read more about GLOW and watch the trailer. One of Netflix’s upcoming original series is a comedy titled G.L.O.W., which stands for Gorgeous Ladies of Wrestling and is based on the real 1980s women’s wrestling promotion of the same name. 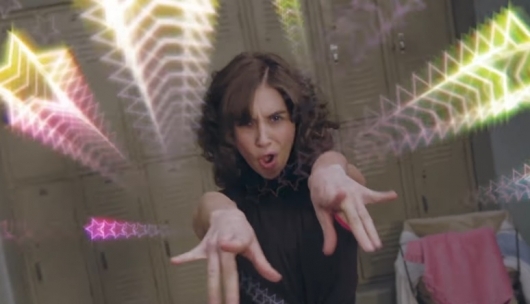 It’s being reported that the series has now found its lead, with Community star Alison Brie signing on for the role of a struggling actress in ’80s Los Angeles who finds herself taking part in the “glitter and spandex world” of women’s wrestling.